In September, Carlock wrote a draft of a Green New Deal long before most people had even heard of the idea—and he's confident that we know how to solve climate change without leaving anyone behind. 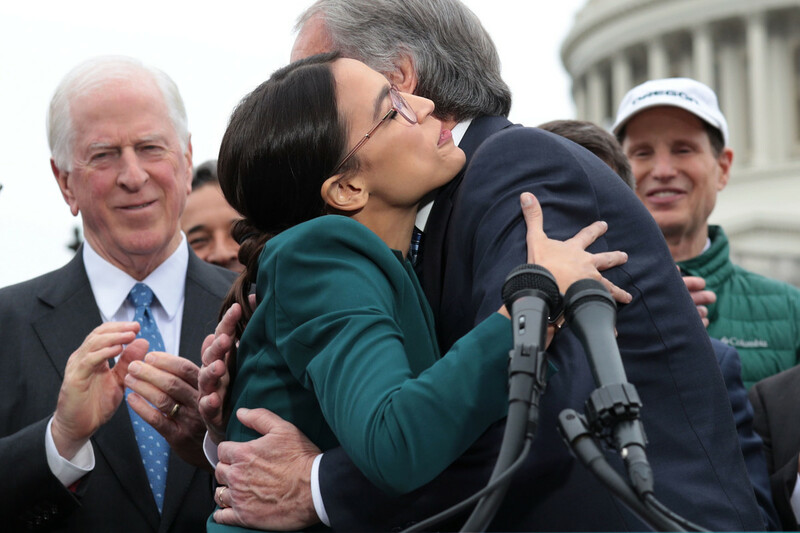 Representative Alexandria Ocasio-Cortez and Senator Ed Markey hug each other as other Congressional Democrats look on during a news conference unveiling a Green New Deal resolution in front of the U.S. Capitol on February 7th, 2019, in Washington, D.C.
Before the world saw the draft of the Green New Deal that Representative Alexandria Ocasio-Cortez and Senator Ed Markey released in February, a handful of activists and wonks had read an earlier draft of a proposal by the same name, written in large part by Greg Carlock for the progressive think tank Data for Progress (DFP) and published in September of last year. 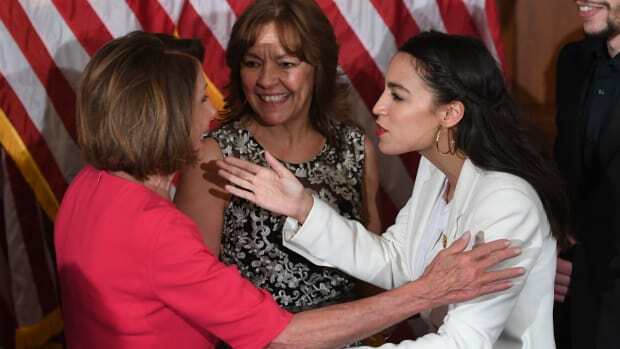 When Ocasio-Cortez joined activists with the Sunrise Movement to occupy Speaker Nancy Pelosi&apos;s office in support of the then-little-known Green New Deal, DFP&apos;s draft was the only policy plan that was accessible to the public. In the weeks following, many journalists cited Carlock&apos;s report in their write-ups explaining the possibilities of the GND: Vox&apos;s David Roberts wrote in December that DFP&apos;s plan was the "first and thus far only serious effort to fill out the policy side." Though Carlock wasn&apos;t directly involved in drafting the latest version of the plan, a copy had circulated among Markey’s staff as they crafted their version. Both drafts address updates to the electricity grid, a federal jobs guarantee, and technology investments, but Ocasio-Cortez and Markey&apos;s GND focuses more on social programs like affordable housing and public banking—elements that Carlock&apos;s version didn&apos;t have. Given the stagnation we&apos;ve seen on climate policy for years, Carlock, who directs research on the Green New Deal for Data for Progress, says he&apos;s enthused by the conversation around the GND. 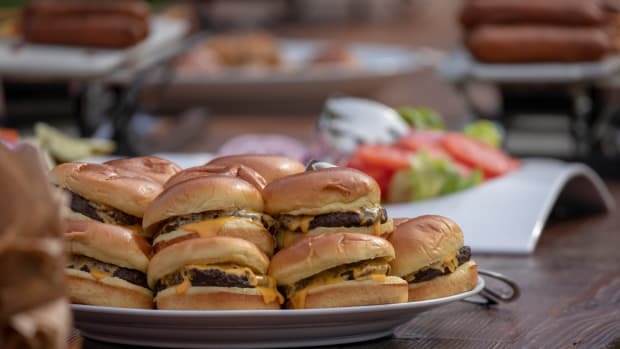 He&apos;s worked on environmental policy for places like the Environmental Protection Agency and the World Resources Institute (which are unaffiliated with his work for DFP), and says he views the Green New Deal as an event that future generations will point to and say, this is when "humans decided to go a different direction." Implementing the plan still depends on an unlikely alignment of policies, politicians, and collective American will, but, as Carlock says, "from an engineering perspective, we know how to [fix climate change]. From a policy perspective, we know how to do it. We know the solutions." Carlock spoke with Pacific Standard about why Democrats have postured on the environment for so long without taking meaningful action, the problems with our current climate politics, and where we go from here. Why did the Democrats take so long to figure out the importance of the Green New Deal? And why are so many still so staunchly against the GND? We are in a new era of politics. We are in a new era of governance. We have been told for decades that we&apos;re going to inherit these problems. Well, now the kids have grown up. I&apos;m a father and I have a house and mortgage and I&apos;m still paying student loans. We have reached a political maturity where we understand how to change government and fix problems. But we&apos;ve also reached the political majority where we [Millennials] now have a greater share of the electorate over the Baby Boomers. The Democratic Party looks wildly different. [Younger Democrats] have cut their teeth in activism. They have cut their teeth on issues that have been lower on the priority list for Democrats and Republicans for a long time. All the major policies that the Democratic 2020 prospective candidates are running on are not the same issues that Hillary Clinton was running on. They were the issues that Bernie Sanders was running on. If you think that the Democratic Party thought Clinton was the best candidate for nomination, then why are her policies not the ones leading Democratic Party this time around? It took a while to realize that the country and Democrats are not where they thought they were. There are still a lot of moderate Democrats worried about the scope and cost of the Green New Deal. How do we get to implementation from here? If we have discovered that, in 10 years, a really large asteroid is going to hit the planet, would we balk at the limited availability of digital ones and zeros to stop us from mobilizing actual resources to figure out that problem? We would not let fiscal arguments stop us from addressing that problem. And so we will not let fiscal arguments stop us from saying we need to address the climate crisis. To say, "We laugh at your ambitious endeavor to solve the biggest collective action problem in human history" is laughable in itself. If doing really important, ambitious things doesn&apos;t pencil politically, then we need to address why, which is why a lot of folks are looking at campaign financing. They are looking at corruption and undue influence to say, "These are [policies] we should be able to [implement] really easily when there&apos;s a clear and present danger." If you say that&apos;s impossible, it&apos;s not because the policy is impossible; it&apos;s because the system through which we are trying to implement policy has created an impossible environment. And so you target the system as well. That&apos;s why you&apos;re seeing a changing of norms: If you take money from the fossil fuel industry, you have no right in regulating the fossil fuel industry. There are piecemeal things that we can do today. There are members who are going to care about little pieces of this that are much less controversial. We have to remember it&apos;s not about helping Democrats or helping Republicans or helping billionaires. This is any community anywhere in America. And I think you will see a lot of co-sponsors, and you will see those things move. And, hopefully, some of them get passed into law over the next two years. There&apos;s a general notion on the left that the Green New Deal would ultimately improve the life of every person in the United States. Is that accurate? I don&apos;t think billionaires are going to prosper under a Green New Deal. But that&apos;s not the point, right? I don&apos;t think any one person, organization, or lawmaker should own the Green New Deal. It has to be a broad-based American vision about what kind of society we want to live in. Everybody needs to see themselves in a Green New Deal. There will be communities that understand how they will benefit under a Green New Deal given local agricultural concerns. There will be seaside communities who will see their benefit in a Green New Deal by coastal community resilience. And there will be people who see the benefit of a Green New Deal for urban depressed economic reasons, and of bringing community development and energy affordability to a city center. That is a Green New Deal, because it is a new deal for everybody. It&apos;s not just because of the climate crisis that we have to address [these policies]; it&apos;s about meeting the needs of current generations while also protecting the ability of future generations to meet theirs. And that means changing how we use our resources, how our economy works now, so that we always have future generations in mind. It&apos;s not just the people living today who see themselves in a Green New Deal. It&apos;s about the generations yet to come who can look back and say: "Because of the Green New Deal, I have what I have today. I don&apos;t have to be born into a world of debt and burden and injustice—because we weeded it out of the system." Many critics view the Green New Deal as an attack on billionaires, a way of punishing wealth. I think that we have confused the concept of wealth in [our idea of] the American dream. The American dream was not historically about becoming wealthy. It was about joining the middle class. It was about many of the freedoms that we enjoy here that were not enjoyed elsewhere in the world. And at a time when all the land was grabbed up [in Europe], all the economic activity was kind of grabbed up, it was hard to get a job. There was no economic mobility [over there]. And so America presented an opportunity with a lot of land, a lot of resources, and a lot of labor scarcity where you can go there, and you could get a job. We&apos;ve started to [imagine] that being wealthy is the dream, and if we cap our ability to be wealthy, we are then constraining the American dream. We need to change that definition a little bit. The American dream is about a system that does not deny you opportunity. 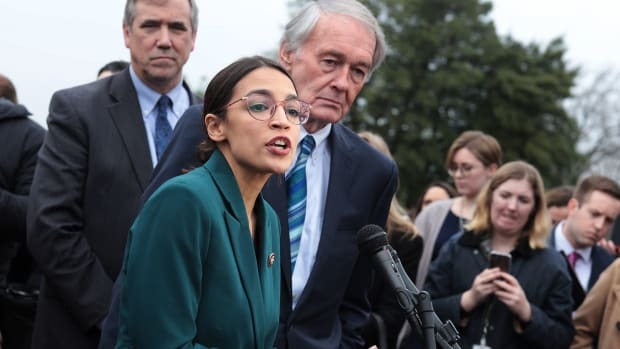 What do you think of Ocasio-Cortez&apos;s and Markey&apos;s draft of the Green New Deal? I&apos;m super encouraged by it. I also see it for what it is: It is a statement that we are committed to an effort to fix injustices and build an economy that works for all, and that we need to put Congress on the record on whether or not they support it. It hasn&apos;t resolved all the issues. There&apos;s still debates around technology mix. There&apos;s still going to be debates on carbon-capture technology. That&apos;s OK. I don&apos;t think we needed to resolve that on the front end. [The official GND draft] lays out a whole bunch of policy goals and projects that now the rest of the world can chew on and can add more flesh to. It&apos;s so funny, I was just watching these Twitter threads where people were debating implementation: "How do we do this? But what about this? And, oh, there&apos;s this piece of research, right?" It&apos;s gotten all the creative juices flowing and all the right communities [saying], "OK, now we have a direction." This is not just about action at the federal level. 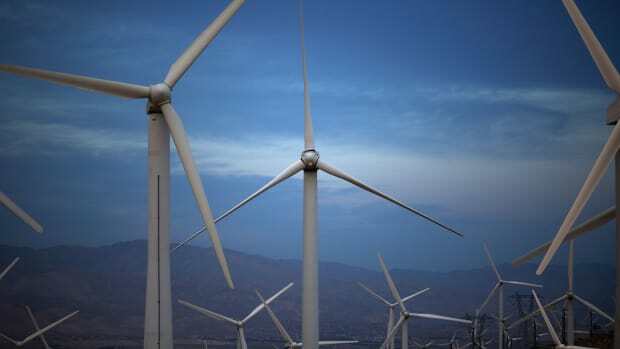 This can serve as a North Star for state and local governments who want to define and implement their own Green New Deal. And for all those reasons, it&apos;s a win. It&apos;s a great outcome. And I&apos;m excited. 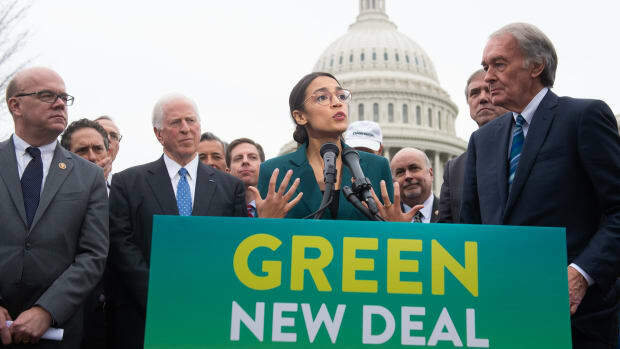 Republicans in Congress have criticized progressives' Green New Deal as an impractical, ludicrous, or even dangerous plan. What are they offering in its place?